After being questioned by police in Bezeq case, PM Netanyahu expresses confidence the investigation will lead to nothing. Prime Minister Binyamin Netanyahu expressed confidence on Friday that the investigations against him will lead to nothing. Netanyahu’s comments came in a video he posted to Facebook before the start of Shabbat, after he was interrogated by police. "Just before the start of the Sabbath, I want to tell you - I feel confident that there will be nothing. I want to say something else to the millions of Israelis who express such strong support for me, my wife and my family - You warm our hearts," Netanyahu said in the video. Israeli police earlier on Friday separately questioned Netanyahu and his wife, Sarah, for several hours over corruption allegations. The questioning, the eighth such session since 2017, came after police last month recommended Netanyahu's indictment in two graft cases. "The prime minister and his wife were questioned for a number of hours as part of an investigation," a police spokesman said in a statement without giving more details. 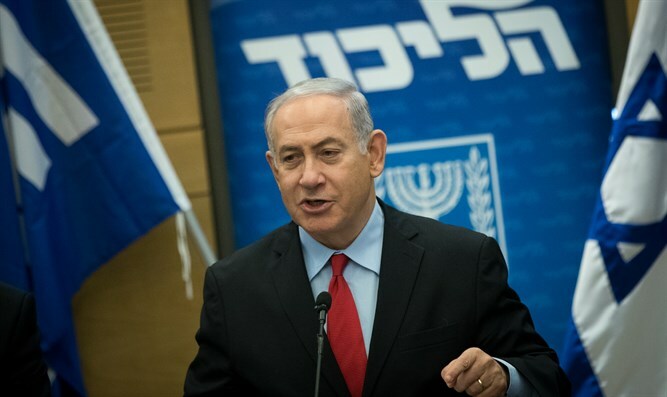 Israeli media said the five-hour grilling related to “Case 4000”, which centers on allegations that Netanyahu sought a deal with Shaul Elovitch, the controlling shareholder of telecoms group Bezeq, which would have seen Netanyahu receive good press on Elovitch's Walla! news website in exchange for business concessions. The questioning came ahead of Netanyahu’s visit to Washington next week, where he will address the AIPAC conference and will also meet President Donald Trump. In Friday’s video, Netanyahu said he was looking forward to meeting Trump, who he called a "true friend of Israel." Netanyahu was questioned at his official Jerusalem residence, while his wife was questioned at the national fraud squad headquarters near Tel Aviv. Elovitch and Nir Hefetz, a former media adviser to the Netanyahu family, were among seven suspects arrested last week as part of “Case 4000”. In addition, Army Radio said Friday that "a former senior communications ministry official close to the prime minister was detained this morning for questioning in the Bezeq affair." The former official has not been named. Shlomo Filber, a Netanyahu ally for more than 20 years and former director general of the communications ministry, was freed last week after agreeing to turn state's witness in exchange for avoiding jail in Case 4000, police said.